At the Computex 2013 exhibition in Taipei this week Intel has announced a new Creative Senz3D Peripheral Camera which provides a 3D gesture based control system of PCs and will be includes with computers running Intel processors in the very near future. 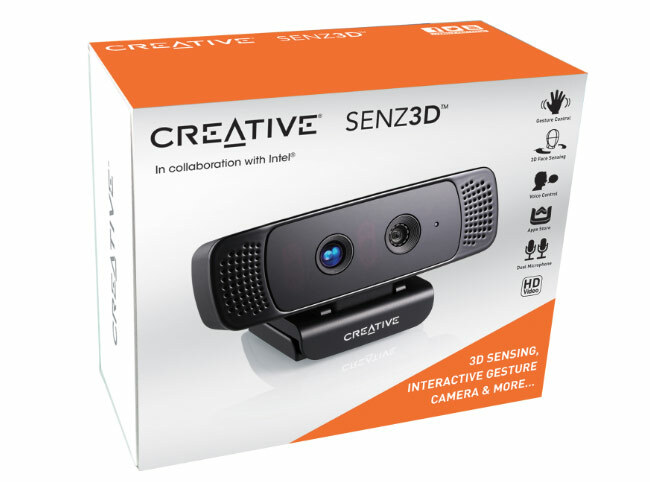 The new Creative Senz3D Peripheral Camera enables users to manipulate virtual objects on the system screen using gestures and is able to completely remove the background behind the user as they interact. The Intel Creative Senz3D camera is expected to arrive on systems in the next quarter of this year and Intel hops to build 3D depth camera technology directly into Intel-based devices in the near future, explained Intel VP of marketing Tom Kilroy. Microsoft is also developing its new Kinect One devices for use with PCs and hopes to start shipping the new updated Kinect hardware and software for PC sometime within 2014.